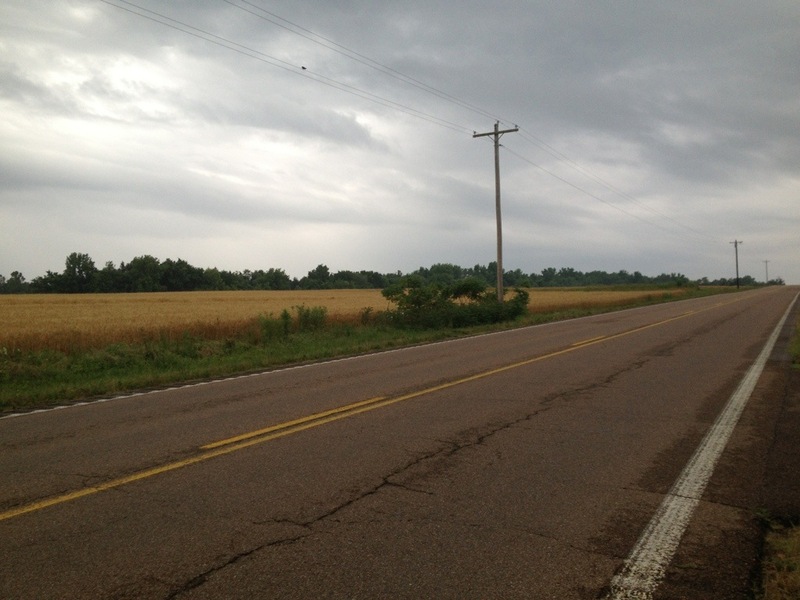 Middle-of-nowhere, TN to Middle-of-nowhere, TN… Then to Memphis! 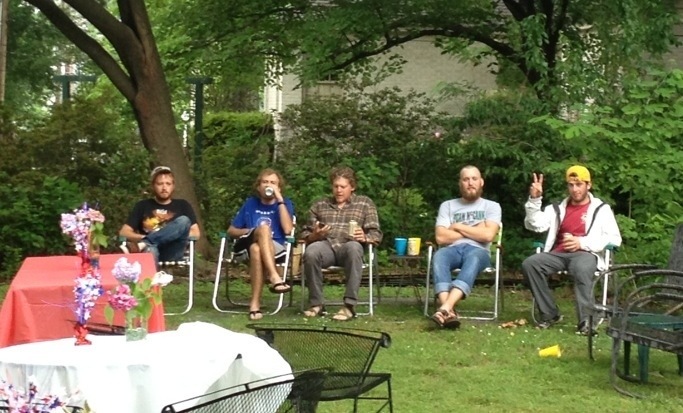 Day 23: You guys… Tennessee is getting kind of boring. In NC, we were hitting more big cities and going through cuter small towns. Lately, our destinations have been very small towns and we’ve been riding through even smaller towns, or sometimes just through the country. 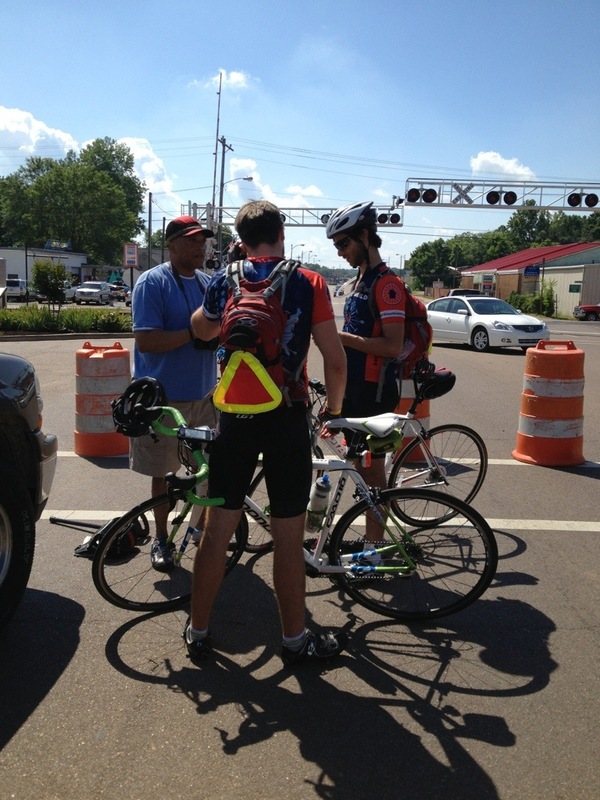 Our ride from Adamsville to Bolivar was a short ride of 40 miles, so we considered it a short, easy day. 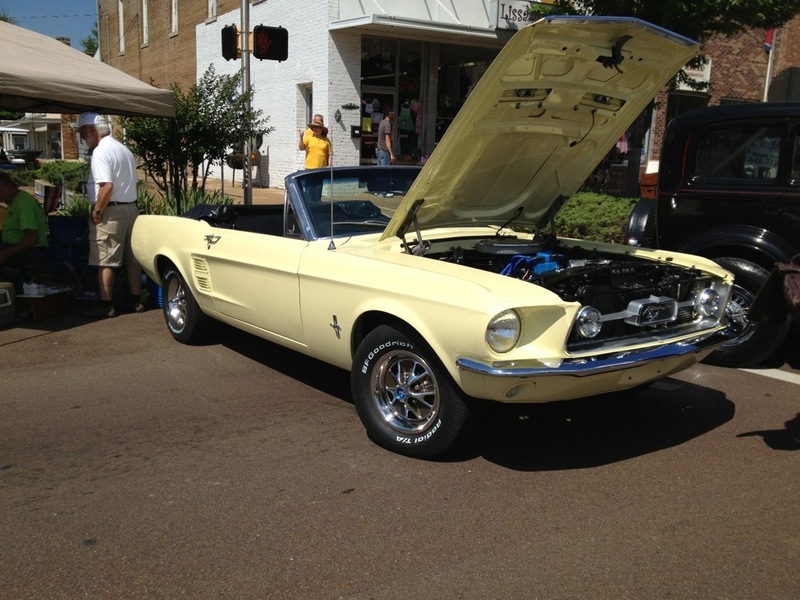 The only thing notable about this ride was that we passed through a town called Selmer which was having a car show that day. 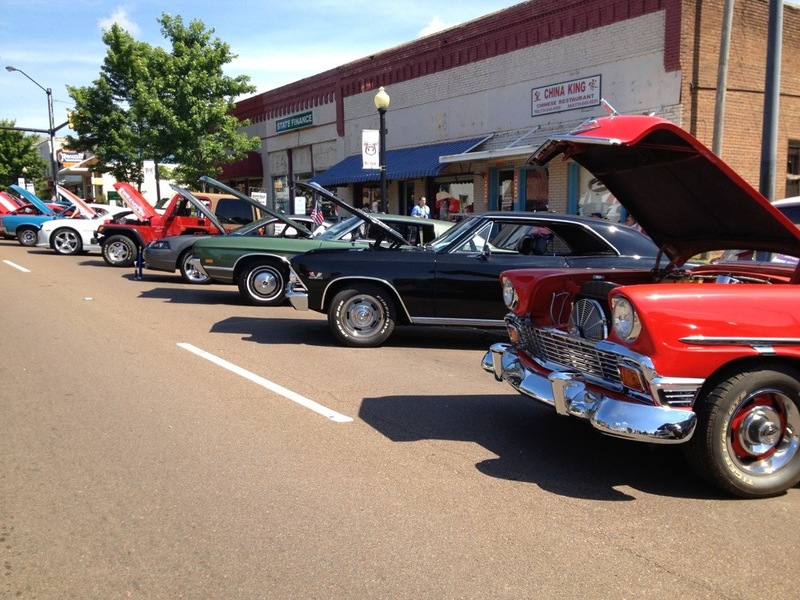 I don’t know a damn thing about cars, BUT it was still fun to walk through and do some exploring and people watching. A photographer took a photo of us in front of a huge mural in their town. After I talked to a man who just happened to be a Deputy Sheriff in Bolivar, he said he would make sure he got the photo developed and would bring it to us before we left town the next day! Sure enough, he came to the church we were staying at and brought copies for all of us in the photo! I thought that was very nice of him to go out of his way to do that for us, and it was a great example of the southern hospitality we’ve experienced this whole trip! 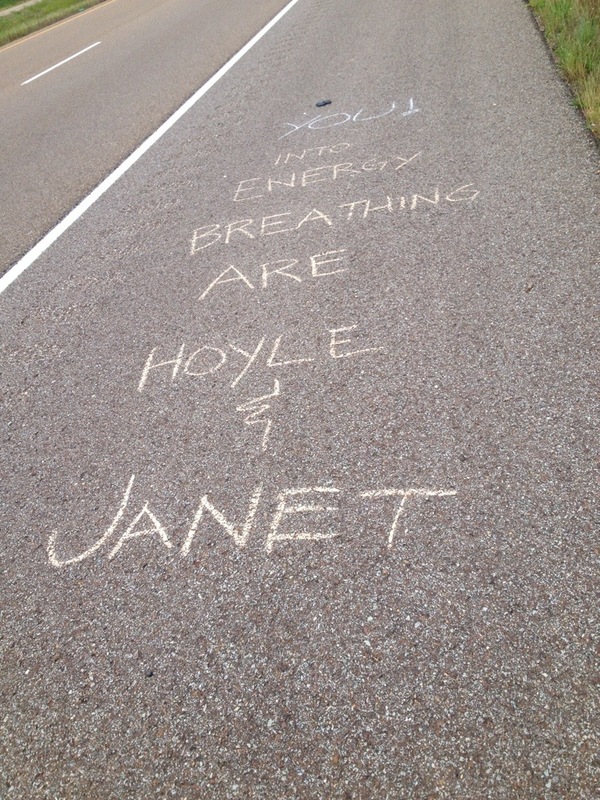 This next one refers to our team’s biggest fans, Hoyle (I’ve mentioned him in a previous post) and his wife Janet. They are incredibly supportive of our team and the affordable housing cause! Remember how I mentioned that when we’re on 64, we as a team tend to get a lot of flats? 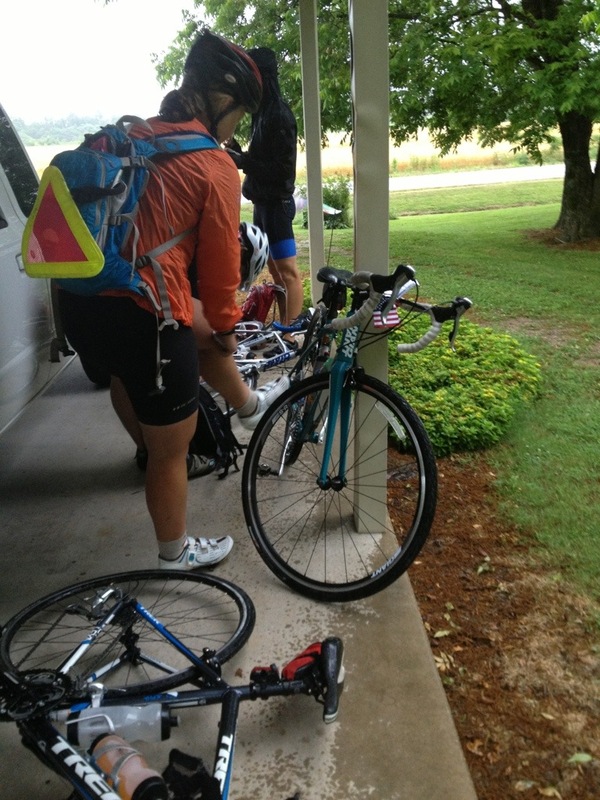 This incredibly short riding day, which was all on HWY 64, produced a total of 9 flats!!!! Unreal. For whatever reason, the biking gods spared me that day and I made it to the church without a single flat! I had also changed out of my stock tires and into my Gatorskin tires the day before, so I’m thinking that was helpful. Overall it was still a pretty day and a great ride! We got to Bolivar and stayed at First Baptist Church. A member of the church named Chris was there and some of our team was helping him cook a delicious spaghetti, garlic bread, and salad lunch!! It’s the exact meal that I dream about while on my bike. We spent the rest of the afternoon napping, watching the movie Shrek, and napping some more. Later that night, Chris provided us with sundaes, with every topping imaginable! Such a treat! 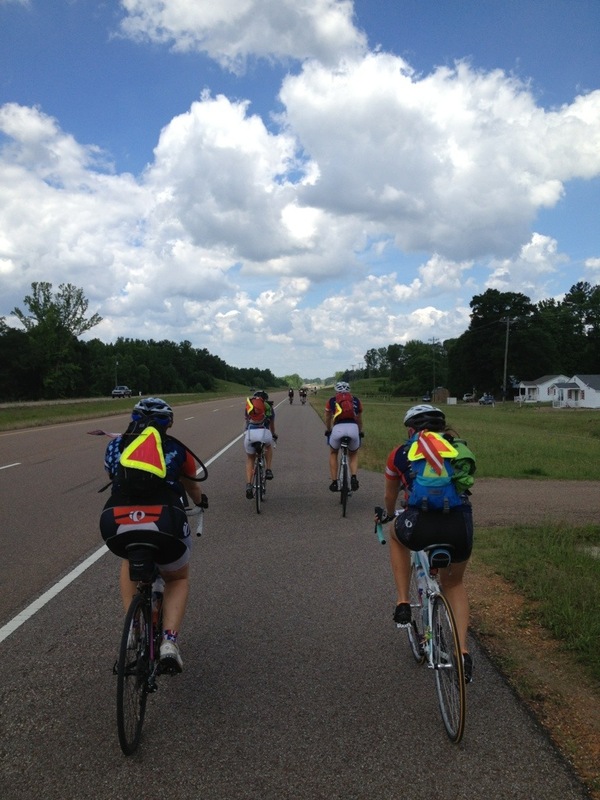 Day 24: Bolivar to MEMPHIS! It was our seventh day of riding in a row, and our last day of riding before a full day off! We started out the morning as usual by reviewing the plan for the day. 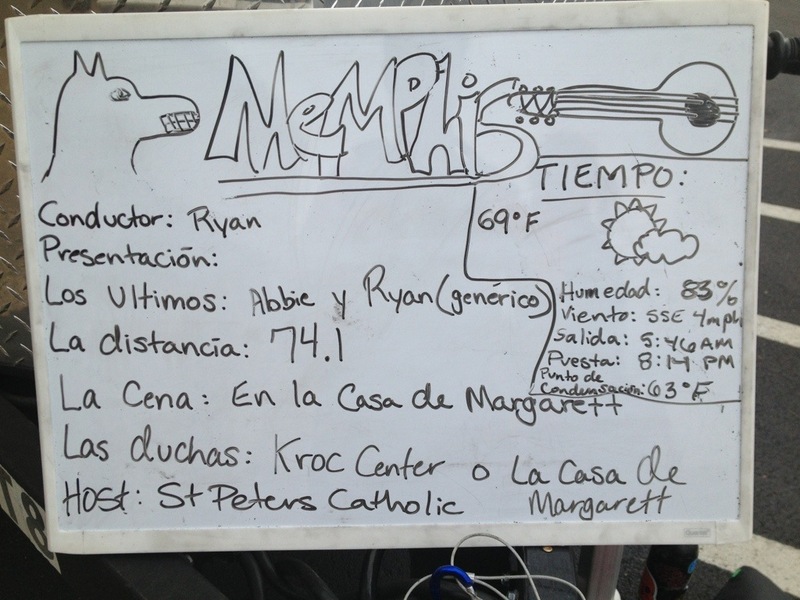 We also sang and danced to “Walking in Memphis” as a little warm-up for the 74-mile day ahead. We set off on our ride and I was with Tim and Erin. 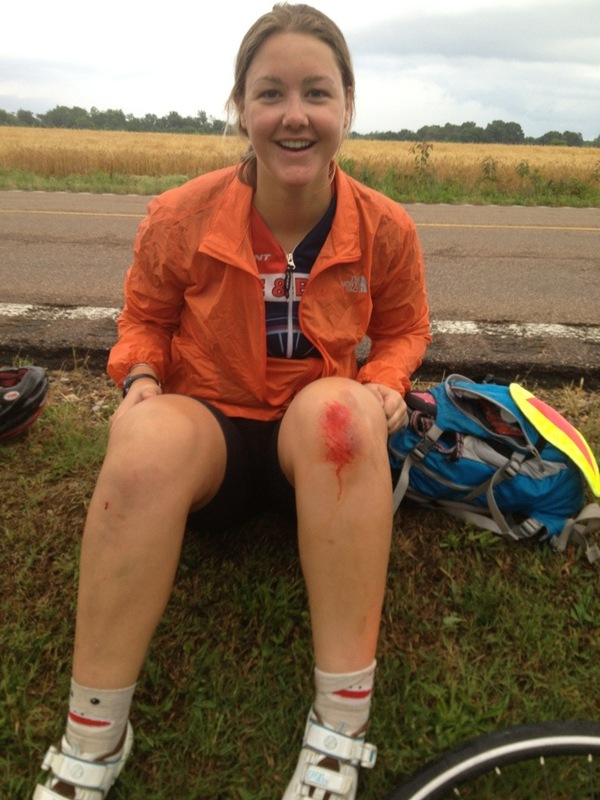 Only about 4 miles into the trip, we found Claire sitting on the side of the road. She had hit Sarah’s back tire when riding just a little too close to her and had fallen off her bike. Her knee was scraped up, but she was fine otherwise and had told her group she’d wait for sweep (Ryan and Abbie that day) to come with a first aid kit. The three of us decided to hang back and wait with her. The sky was also looking cloudy, so we had a feeling it was going to rain. Aaaand it definitely rained. Poured, actually. Luckily, we had stopped in front of a house, and the elderly woman who lived there allowed us to sit under the shelter of her garage! 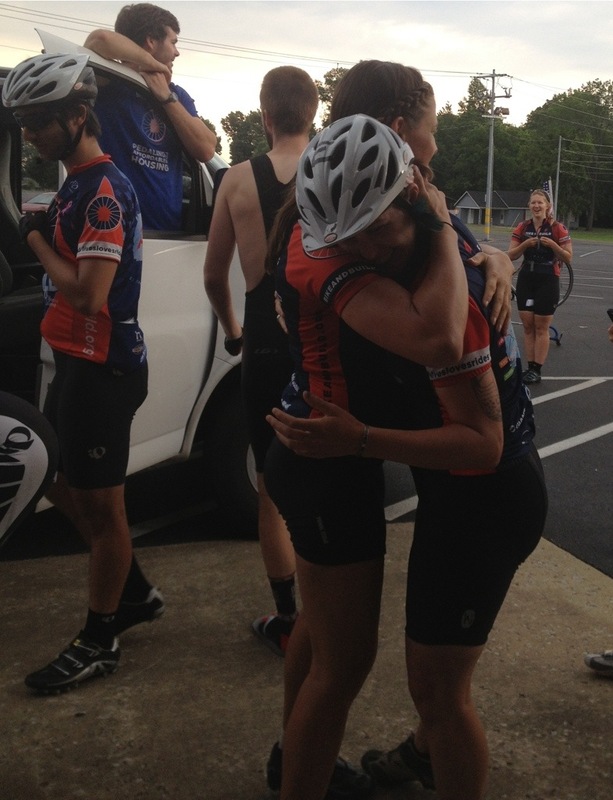 We waited out the storm with the sweep riders and continued on when the thunder and lightening stopped. It still rained for a good amount of the morning though. When the sun came out, I enjoyed the rest of the day riding with Erin, Tim, and Claire. 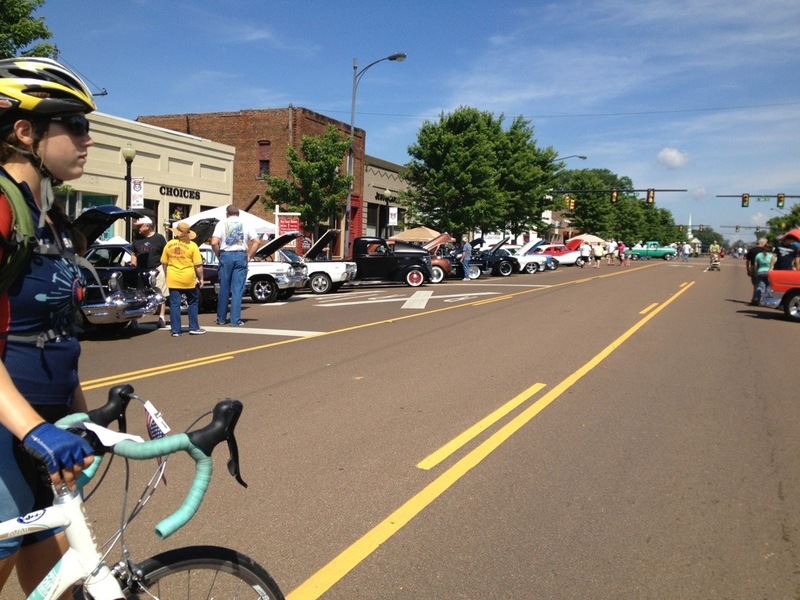 Memphis presented a few road blocks along the way, but we spent much of the afternoon riding through suburbia, which offered awesome bike lanes (always so exciting!). We finally made it downtown to the church where we’d spend two nights. 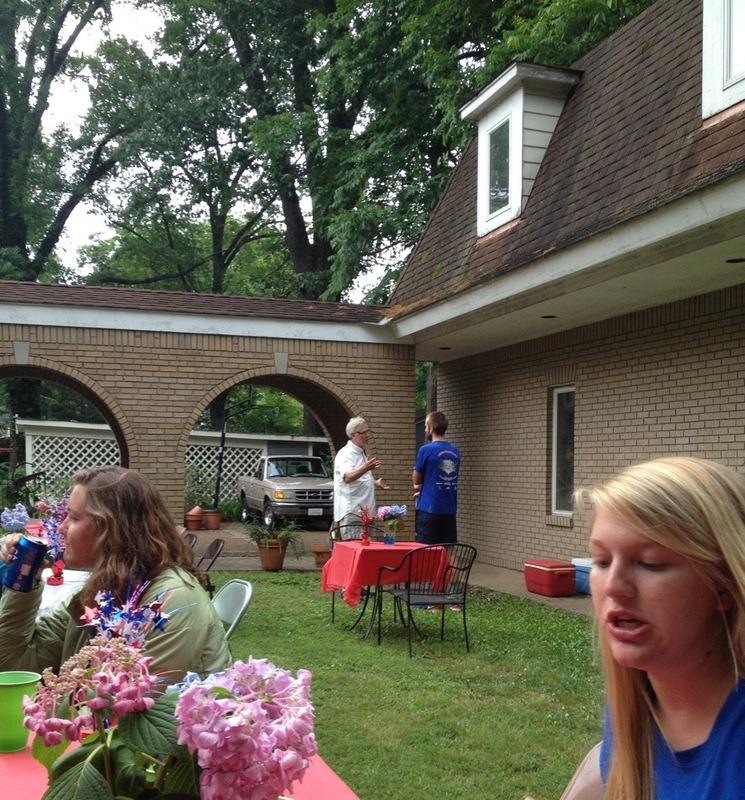 Margarett (we call her Marge even though no one else in her life does and she doesn’t even really like it) is from Memphis, so her parents invited us over to their house for dinner. 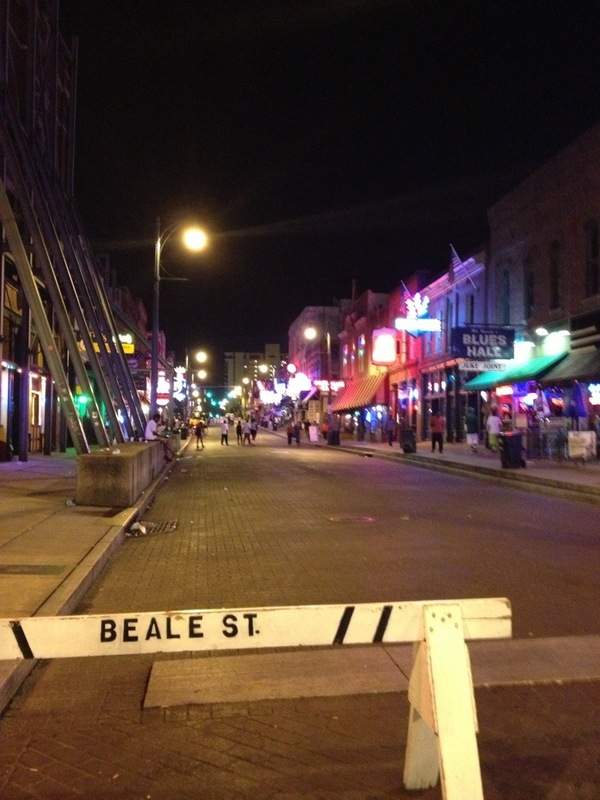 Memphis is famous for their BBQ, which I am not a fan of because I’m vegetarian, but everyone else seemed to enjoy it! 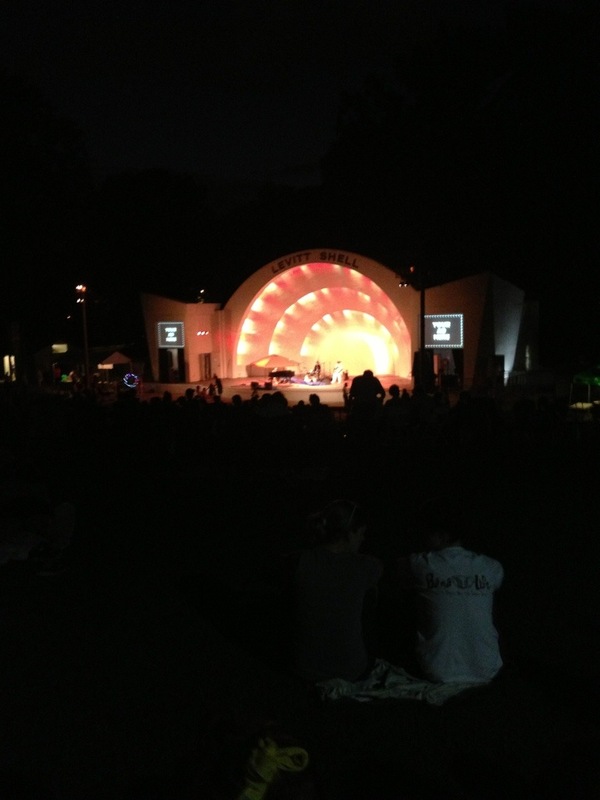 It was a fun first night in Memphis! 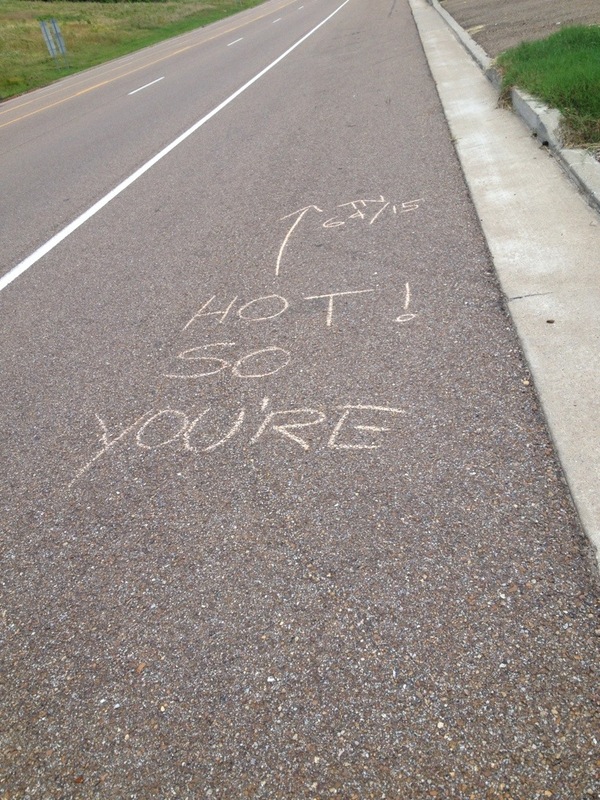 This entry was posted in On the road! on June 10, 2013 by murphykg.